Silver is finally showing some signs of life after suffering a dark year. The tremendous bearish sentiment that bludgeoned this metal to major secular lows is cracking, with a strong rebound rally now underway. And this recent buying is likely just the earliest vanguard, as silver remains deeply undervalued relative to its primary driver, gold. Silver will need an utterly m assive upleg to fully mean-revert to normal levels. Silver is deeply undervalued today relative to prevailing gold prices. Traders fled silver as gold languished this year, battering silver to jarringly low levels, compared to gold, by all historical standards. 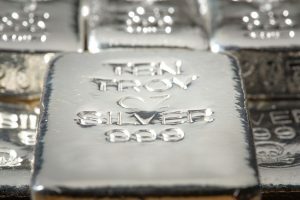 After similar episodes in the past, silver soared as investors and speculators returned thanks to gold recovering and rekindling interest. Gold’s young mean-reversion upleg is already driving silver higher. Even if the silver/gold ratio merely returned to normal year-average levels, and gold stopped rallying, the coming gains in silver will be big. But following irregular extremes fueled by sentiment, prices always overshoot towards the opposite extreme. On top of that, gold itself is also mean reverting higher. So silver’s upside from recent months’ incredible anomaly is vast, with great potential for prices to multiply.